It has put the rules-based multilateral trading system under pressure. Prime minister Lee Hsien Loong urged the members of the Association of Southeast Asian Nations (ASEAN) to continue building stronger regional economic cooperation and integration for the region to fully realise its potential amidst the looming geopolitical uncertainties sprouting from global trade tensions. 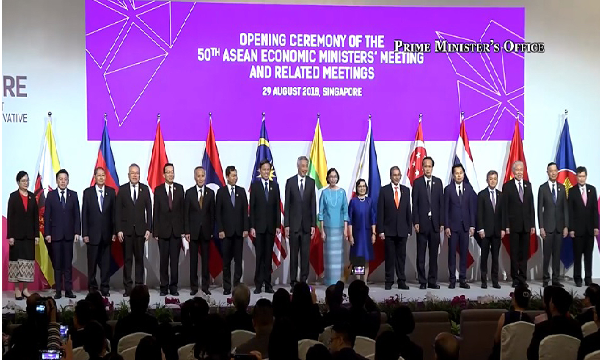 In his speech at the opening ceremony of the 50th ASEAN Economic Ministers’ Meeting held in Singapore, Lee said that the region has been concerned with the escalating trade wars between US and China, as well as other dialogue partners including the European Union (EU) and Canada. According to the prime minister, ASEAN members should stay even more intact to maintain cohesion and effectiveness given the global situation. In his speech, the leader recalled ASEAN’s beginnings 51 years ago with its aim to build peace and prosperity across the region.